In February of 2017, Saugatuck's Interact Club sent 12 students along with Dr. Lana Zarlenga, Rotarian John Rotonda, and Leader Mike Shaw to the Dominican Republic. Many of the students had planned on going on the 2016 trip; however, it was cancelled due to the threat of the then prominent Zika virus. The student team of the 2017 trip was composed of Jetal Patel (sophomore), Georgia Richardson-Smaller (sophomore), Hayley Christine (junior), Piper Harris (senior), Rudy Joon (senior), Claire Conley (senior), Julie Kiger (senior), Marin Yarde (senior), Madeline Stenman (senior), Christian Post (senior), Evan Hotary (senior), and Joseph Cappelletti (senior). Joseph Capelletti with two boys from Batey 106. The travelers departed from Saugatuck High School early Saturday morning for Detroit, caught a plan to Miami, then finally caught a plane to Santo Domingo. 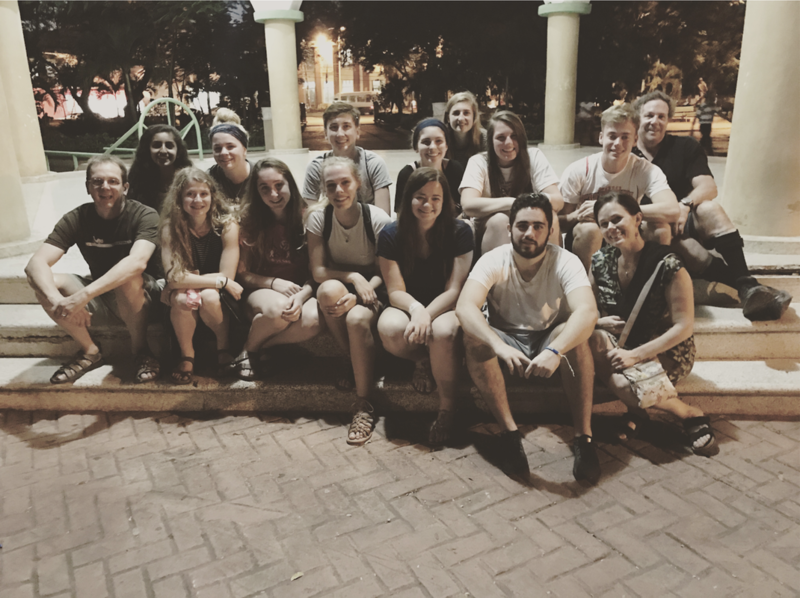 After landing, students took a bus to La Romana where they would stay at Casa Pastoral. The first day they traveled to Batey Brador and attended a church service, which was translated into English. After the service, students traveled to Batey 106 and met the residences. Girl blows bubbles in batey. 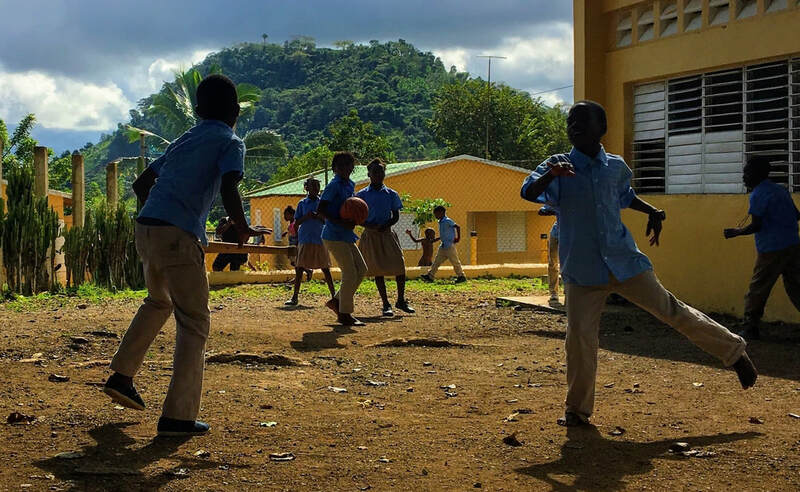 Two boys play soccer near the sugarcane fields. Hayley Christine (junior) lets kids take photos. The second day, students went to Batey Como Quiera and started painting one of the school buildings in place. After working the morning, students visited a public beach to enjoy the nature of the country. The following morning, students finished up painting the school, followed by a visit to the Altos de Chavón, a village on top of the Chavón River. Kids in Batey 106 hard at work during school. Georgia Richardson-Smaller (sophomore) holds kids. Evan Hotary (senior) holds hands with kids. Kids smile for a picture in batey. Travelers play games with kids. The third day the travelers visited Batey 106 and spoke with the teachers of the school for final confirmation on the school to be built. Later that day they visited the Good Samaritan Hospital, who the Interact Club is partnered with. The fourth day the travelers visited the island of Saona to take in the scenery the Dominican had to offer. On the fifth and final day, the travelers left Santo Domingo and headed back to Michigan with a long day of flying and some troubles with HMS.